The Eastern Oregon district pays about 8 percent of its budget, or $1.2 million, to the Oregon Public Employees Retirement System. In the next school year, that cost will go up an estimated $46,000. That may not seem like much but for Umatilla, it could mean cuts — especially if the state doesn't come up with more money for schools. "If there's any type of increase, that is a direct hit to what we can offer to students," said Superintendent Heidi Sipe. "PERS is a larger and larger percent of those expenses that's hitting us harder and harder each year." Gov. 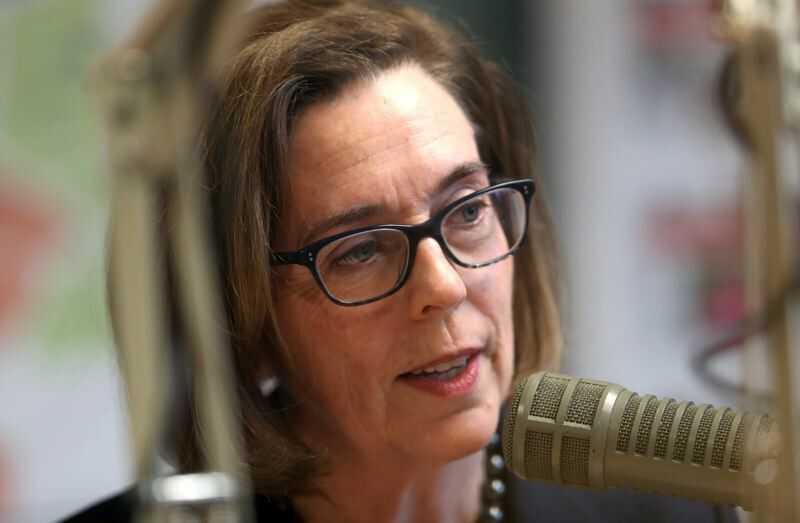 Kate Brown wants to help Sipe and her colleagues in districts across Oregon by diverting state money to pay part of the districts' retirement bill. She is scheduled to unveil exactly how she would do that in an appearance before the Capital Construction Committee Friday, April 12. The committee meeting is at noon in Hearing Room E.
Brown's proposed budget already is intended to help districts maintain the district's current staff, Sipe said. But legislative leaders have released a lower tentative budget that means Umatilla may have to cut one teacher and two assistants. That makes a difference in a district with about 90 teachers and roughly 330 personnel altogether. "Every cut hurts," Sipe said. The rapidly growing cost of retirement benefits is putting the squeeze on school districts across the state. Larger school districts are bracing for eye-popping increases until 2035. "PERS is just sucking all of the oxygen out of education," said Kathy Goss, chair of the Salem-Keizer School Board. "So districts our size have to pay many millions to PERS every year, and we're going to have to lay off some teachers." She fears that the additional tax money lawmakers want to raise for schools this year could pay for pensions instead of students. Just between 2021 and 2023, for example, the Bend-La Pine Schools would have to pay about $11 million more to PERS, according to estimates provided by the governor's office. Brown wants to make those leaps less dramatic. Her goal: rustle up at least $2.46 billion between 2021 and 2035. That money would go to a special account to offset the increases. Brown wants $800 million in "seed funding" to get that account started later this year. Then, over time, the state would dedicate more than $1 billion in future taxes to help schools mitigate increasing assessments to cover retirement costs. The upshot is, if the state is helping schools pay for those increases, schools would be able to use their money for other things — namely, to keep teachers on payroll. "She doesn't want to see cuts in teacher positions," said Nik Blosser, Brown's chief of staff, in an interview. Where would the money come from? Brown is flexible, Blosser said. But she has some ideas. 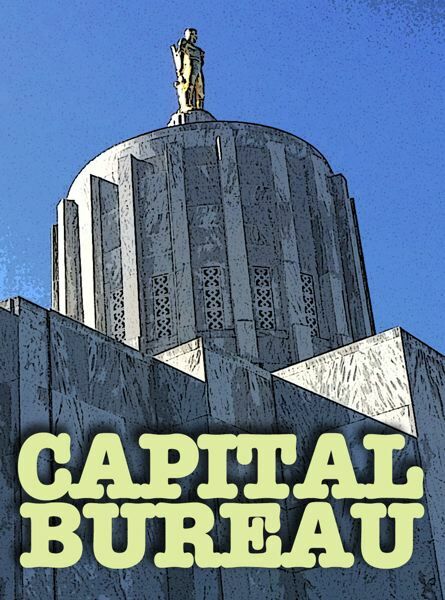 They include using some of the "kicker" income tax rebate, using money from the state's workers compensation fund, and using any higher-than-expected revenue from taxes on capital gains and estates. Brown signed a bill Wednesday, April 10, that would reduce the expected 2020 kicker by $108 million. Brown is also proposing that employees contribute money to their basic pension, in an amount depending on their salary and when they joined government service, until the system is fully funded or 14 years, whichever comes earlier. PERS is a hybrid plan, meaning there's a basic pension and a 401(k)-style savings plan on top. The governor's idea is to reduce the amount of money employees contribute to the 401(k)-style plan, and put that money toward paying for the employee's basic pension. Employees wouldn't see a pay cut under that idea. But their benefits would be reduced. "There's something for everyone to both love and hate in the plan I've introduced," Brown is expected to tell legislators Friday, according her prepared testimony. "But make no mistake: by stabilizing PERS rates for schools, we also stabilize jobs for teachers and educators."